With Halloween in just a few days I want to continue the horror of yesterday's top scariest books by talking about some of my absolute favorite horror films! This topic could have gone a lot of ways. There are horror movies that are creepy, but not terrifying. There are movies that are more mind blowing that scary, but are still considered horror. But I wanted to talk about horror movies that legitimately scared the crap out of me! These are my top nine (in order of release)! 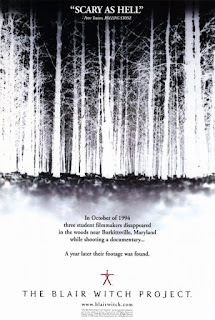 I have seen people say that The Blair Witch Project doesn't stand the test of time and I have to respectfully disagree. I have watched a LOT of horror movies over the last 10 years or so and I still think this is one of the absolute most frightening movies in the history of movies. There's something really darn scary about not seeing the big bad. 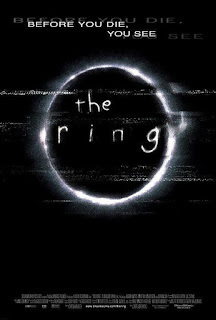 The Ring is another movie that may be a little outdated. Yes, yes, I know it has an actual VHS tape in it, but it definitely holds up, I think. I never did see the original Japanese version, which I hear is even better, but this movie is my go-to when I want to be scared! The Descent is one of those horror movies that's extra terrifying because it's not that far outside of the realm of possibility. There are really no ghosties or ghoulies, just some really creepy cave happenings! Although it's over ten years old, I highly recommend this one! 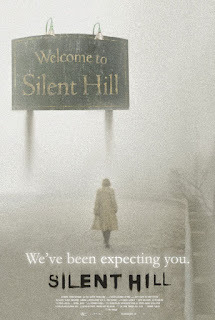 When I first saw Silent Hill I had no idea it was based on a video game. Now I've watched other people play the game on YouTube, although I've never actually tried it myself, and I still think it's equal parts weird, unnerving, and actually terrifying. If you haven't watched this movie you really don't understand what you're missing and you should definitely rent it ASAP! I know people like to hate on this franchise, but the first Paranormal Activity was legitimately scary. Like I couldn't even finish it the first time I went to see it (don't judge me)! When I finally did make it through the entire movie I was even more freaked out and I will forever defend it against the haters. I know I might get some hate for this one, but I actually haven't seen the original, REC. I really want to, I just haven't had the opportunity! In any case, Quarantine was a definite hit for me! It kept me on the edge of my seat (and trying not to have a heart attack) through the entire thing. I remember seeing this in theaters and being actually scared, which doesn't often happen with horror movies. 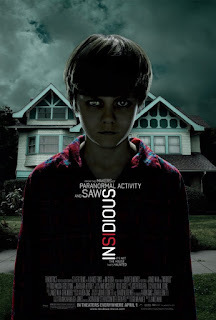 To be fair, the ending wasn't the best and the main villain was a little cheesy, but the rest of Insidious makes up for it! I only wish the sequels were as good. Who doesn't love a good haunted house? 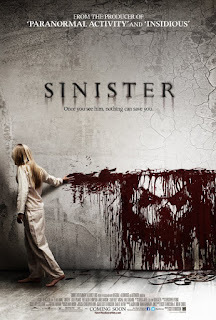 With Sinister I had no idea what I was getting into but it quickly made my favorites list! The villain in this movie is absolutely horrifying in every way and so is the entire premise behind the film. I saw the first Conjuring movie back when it came out and thought it was scary, but nothing spectacular. I got to see The Conjuring 2 this year in theaters and was totally blown away by it! It was the first horror movie in years that I've really loved. The big bads were incredibly well done and the story was the kind that really pulls you in! You can read my full review here. I'm always on the lookout for amazing horror movies! Are there any I missed that you'd add to the list?